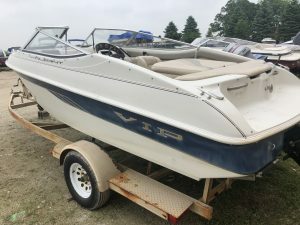 We can deliver the boat to you and pick up, all you need to do is meet us at the boat launch. 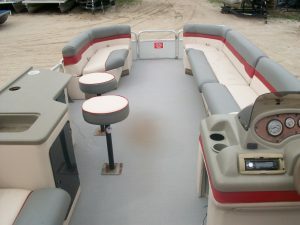 We will need about few minutes of your time before the rental to go over operating instructions and boating safety. 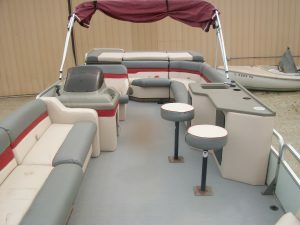 Please call us to begin you hassle-free day of boating with friends and family on the lake. Free delivery to Powers Lake, Twin Lakes, and Bohners Lake. Delivery with a $30 charge to Silver Lake, Paddock Lake, and Browns Lake. Delivery with a $50 charge to Lake Geneva, Lake Como, and Lake Delavan. We will deliver to more lakes, please call for delivery charge. Gas and taxes are not included in prices. 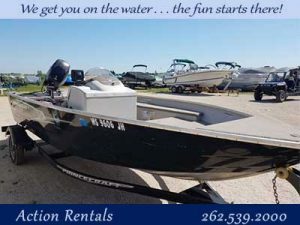 Check out the many boats we offer and call to set up your rental today. With room for 14 the Atlantis has all the space you need to entertain. 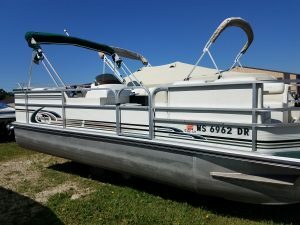 This boat is a Landau Atlantis 2303 23′ pontoon boat with a tri-log and brand new 115HP Yamaha 4-stroke outboard. The Atantis has the power to pull skiiers, tubers, and get you where you want to go. We are currently installing new vinyl floors and have upgraded the seats. 18 people and is powered with a 90 Mercury motor.